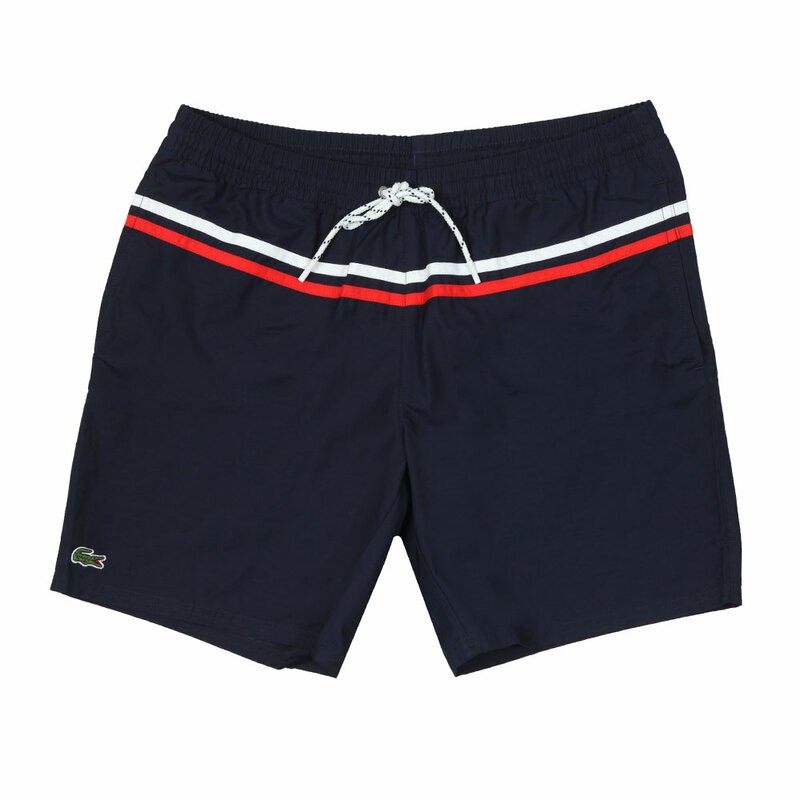 Lacoste MH5516 Swim Short in Blue Marine Blanc. A simple swim short with mesh lining and drawcord waist. Given a two stripe detail.